Waste management has a profound impact on all sections of the society, and military is no exception. With increasing militarization, more wars and frequent armed conflicts, protection of the environment has assumed greater significance for military in armed conflicts as well as peacetime operations. Tremendous amount of waste is generated by military bases and deployed forces in the form of food waste, papers, plastics, metals, tires, batteries, chemicals, e-waste, packaging etc. Sustainable management of waste is a good opportunity for armed forces to promote environmental stewardship, foster sustainable development and generate goodwill among the local population and beyond. Infact, top military bases in the Western world, like Fort Hood and Fort Meade, have an effective strategy to counter the huge amount of solid waste, hazardous waste and other wastes generated at these facilities. Due to large fraction of recyclables in the waste stream, recycling is an attractive proposition for the armed forces. However, environmental awareness, waste collection infrastructure, and modern equipment are essential for the success of any waste management strategy in a military installation. Food waste and yard waste (or green waste) can be subjected to anaerobic digestion or composting to increase landfill diversion rates and obtain energy-rich biogas (for cooking/heating) and nutrient-rich fertilizer (for landscaping and gardening). For deployed forces, small-scale waste-to-energy systems, based on thermal technologies, can be an effective solution for disposal of combustible wastes, and for harnessing energy potential of wastes. 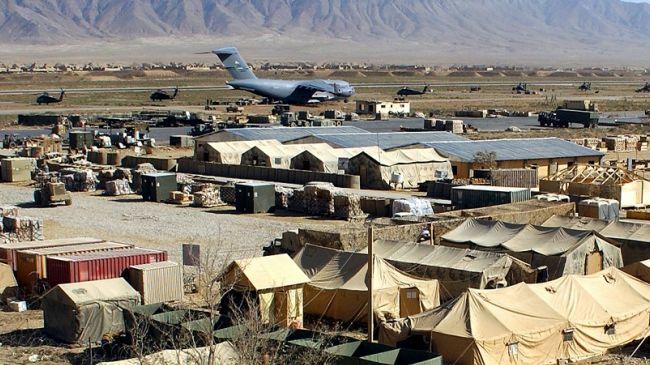 Management options for military installations is dependent on size of the population, location, local regulations, budgetary constraints and many other factors. It is imperative on base commanders to evaluate all possible options and develop a cost-effective and efficient waste management plan. The key factors in the success of waste management plan in military bases are development of new technologies/practices, infrastructure building, participation of all departments, basic environmental education for personnel and development of a quality recycling program. Military installations are unique due to more than one factor including strict discipline, high degree of motivation, good financial resources and skilled personnel. Usually military installations are one of the largest employers in and around the region where they are based and have a very good influence of the surrounding community, which is bound to have a positive impact on overall waste management strategies in the concerned region.